Ya, I Live on Rainy Lake! Picked up 2 porkloin roasts the grocery store had on sale ($1.19lb). Both were 4lbs. Found a recipe on the Virtual Bullet to try on my WSM. Recipe had an apple juice injection marinade combined with a rub. Did that yesterday and let it set in the fridge overnight. Will fire up the Smoker today and add some apple wood chunks. Would like to run this through our meat slicer to make thin slices for sandwiches. Never tried that injection recipe but have used some of the pre made Cajun stuff and it works well. Mainly butter from what I remember. I also like to run them through the slicer. Only thing I hate is cleaning that darn thing once I'm done. The loins turned out great. Cooked them to 145 and then wrapped in foil. Tender and juicy. 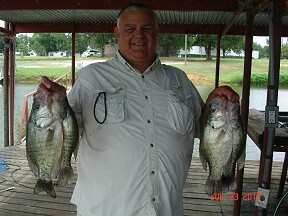 Crappie fish fry. It don't taste any better. 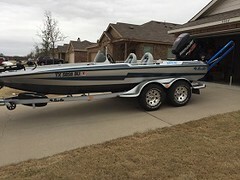 2013 Basscat Pantera IV 200 ProXS Mercury.